Today is the start of our year-end posts for 2016. Just like last year I'll be summarizing the best of the best products I have purchased and tried for this year. I will start with skincare followed by face products, eye products and lip products. If you are looking for a budget-friendly toner that resembles Olay Pore Perfecting Toner then this one is for you. It is a pore perfecting toner that refreshes the skin and refines pores plus removes excess oil and dirt without drying the skin. I tried two travel size bottle before I settled with the full size which will last me for a long time!!! Highly recommend! I am a big fan of clay masks even though they tend to be time consuming. I love how this Mint Julep Masque makes my pores smaller and tighter. It deeply cleanses and refreshes and help with regeneration of the skin. Whenever I use this my skin feels smooth and supple. The refreshing minty effect is also highly addicting. I suffered from terrible breakout on my forehead and chin area during my birth month and this Mumuso 92% Aloe Vera Gel helped me cure it. I apply this on a clean face before going to bed. I love that it dries and absorbs fast by the skin. My small bumps were gone within a week and the texture of my skin improved. This deserves its own review post soon. I have featured this on My Complete Day and Night Skincare Routine and I really enjoy using this as my face wash. This is good for those who wear makeup on a daily basis as it cleans the face well. The squeaky clean feeling after use it there plus the price is budget-friendly. You all know that I'm into whitening soaps but when I suffered from skin asthma due to stress come October I changed my soap into this. The Malunggay Herbal Soap is enriched with olive oil and omega that helps in anti-aging, anti-bacterial, anti-acne, moisturizing dry skin and skin lightening. This soap is an all-in-one product. It has a ton of benefits and it did wonderfully healed my skin asthma. I don't even know where or how to begin my quick review of this product. This sooooo good and effective. I LOVE THIS SO MUCH. And I do feel like it should be in every girl's must have. This Sun Flower Beauty Oil is a multi-purpose beauty oil with 22 benefits. I've made a detailed review here so you can read it fully. The smaller bottle lasted me for 3 months and then I recently purchased the bigger size and it is still full. This product will revolutionize your skincare routine. READ HERE. I'm a big fan of sheet masks even before. I love how easy they are to use and the specific benefit every pack gives to your skin. I had a post on the sheet masks I bought from Watsons you can read. I also bought a lot of masks from Mumuso because their masks are 3 for 99pesos only and packaged in a box. Green Tea, Aloe and Black Face Mask (Charcoal) are my favorite. Will definitely continue incorporating sheet masks in my daily routine. I received this as part of my CHARIS Welcome Gift Box and used it every time I feel like I need more moisture on my face. This Dr. Flora Floral Lotion offers organic moisture on the face. I pat this all over the face and feels warm and cozy right after. This is the perfect sleep mask because you really feel sleepy after use. The smell is soooo good. If you are someone like me who likes the squeaky clean feeling after washing their face then I recommend this product for you. The Himalaya Herbals Gentle Exfoliating Daily Face Wash has apricot granules that gently exfoliates and aloe vera to soothes the skin. Love using this every morning to clean my face and have a glowing complexion. 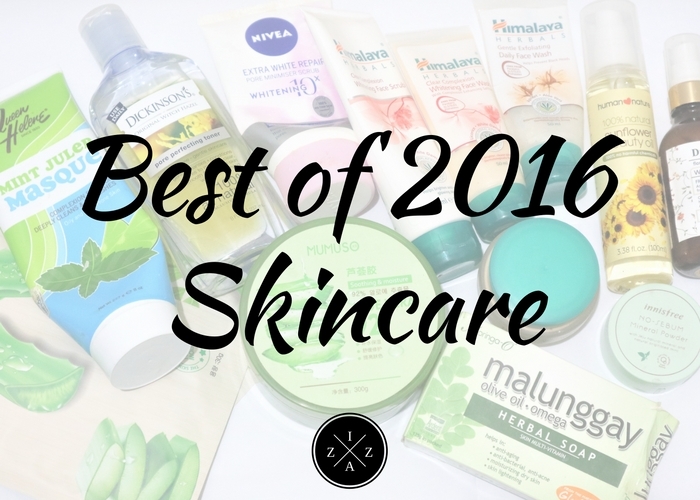 Although I gave mixed reviews on this skincare line I still consider it a big part of my Best of 2016 Skincare items. I enjoyed using these 3 products every morning. I mix the Himalaya Herbals Clear Complexion Whitening Face Wash and Face Scrub then use it via circular motion. Next the Himalaya Herbals Clear Complexion Whitening Day Cream is my face cream of choice which I use after I toned my face. 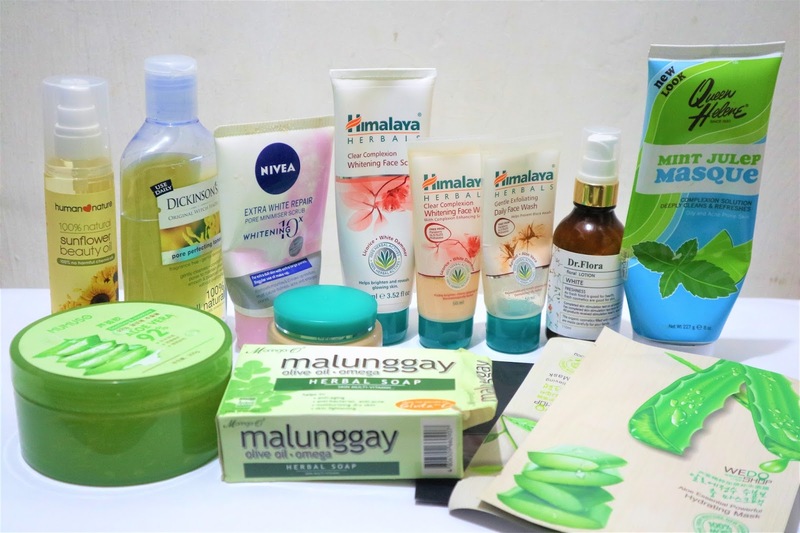 Please read my full review of this whitening skincare line HERE. That's it for my Best of Skincare. I hope you enjoyed this post. I'm really satisfied with the products I compiled in this list. 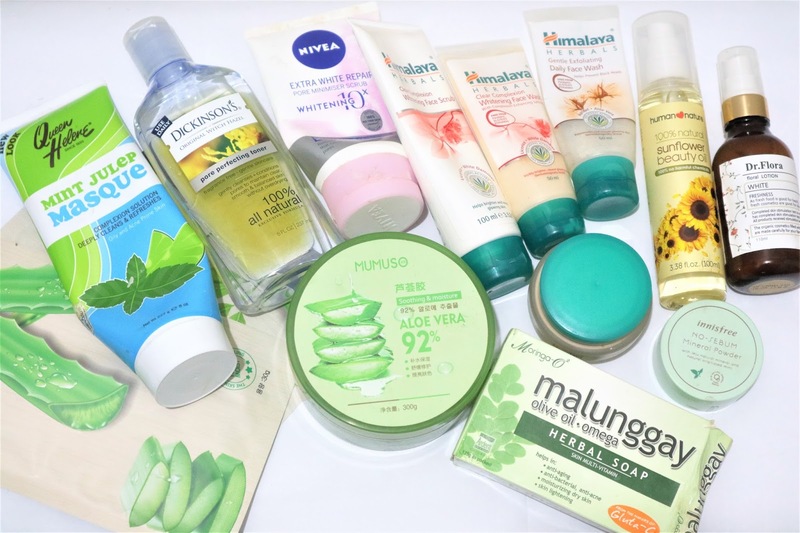 Here's last year Best of 2015 Skincare for reference. What's your Best of 2016 when it comes to skincare? ?